The truth about business is simple and straight – nobody sees you, nobody buys what you have. This is easier to understand if you look around you. While a majority of companies fail due to lack of a unique idea, a significant fraction of companies just give up due to lack of visibility and brand awareness. Apart from marketing and using mobile app development to build great mobility solutions, building brand visibility over the web, demands a different set of techniques that effectively work in the direction of fetching you attention of the masses. If you are planning to stick around (which you most probably are), skipping on practices that build brand visibility is just not an option. In this article, we will discuss some of the best methods that you can use to bring visibility to your business and become a known player in the market. One of the most popular ways that churned out of digital technology, to build out visibility across different platforms, is mobile apps. Owing to their customizability and ability to be integrated with almost any marketing channel, mobile apps development companies have gained quite a remarkable position in creating brand awareness by businesses of any scale. With expansion in the functional capabilities of what a mobile application can do, digital marketers today have a number of tools they can run with mobile apps to reach out more and more people with the data they produce by using apps in their day-to-day life. Social login can be used by to get users sign up by giving away their personal and contact information to the brand. While on one hand, it is easier and less time-consuming for people to start using their favourite apps, brand marketers can use this data to display advertisements and offers on users’ social media feeds, from where your application proliferates through mouth publicity, shares, likes and more. So, if you are building an app for your business, don’t forget to include social media integration. Another way to use a mobile app to boost your presence over the web is App Store Optimization (ASO). Some of the common fields that need to be optimized in ASO are title, keywords, description, features and what’s new. Provided these fields stay optimized as per the changing trends, your app will gain enough visibility to keep fetching a good number of downloads by maintaining a good position on store search results. Yet another great way to make your brand more visible is getting a Quick Response (QR) code for your app. QR codes have revolutionized the way offline and digital ways interacted, and have somewhat reduced the gap between the two. The characteristic of QR codes of being used on digital as well as paper media with just a quick camera scan, is quite unique, and has introduced a new dimension to digital marketing by subsuming a function of paper media with the vast digital world. In a nutshell, with QR codes, paper advertisements could, somewhat, become a part of digital marketing campaigns. Building a QR code is easy as there are many websites and app development companies with apps on Play Store and App Store that can create a QR code for your app. All you have to do is feed your app URL and download the generated QR. Regardless of monetization model or product-based business, referrals always work quite well if you are trying to get quick peer to peer publicity. Usually, referral programs would be linked to some reward that is promised to users who share the app. One of the finest examples of using referral programs in a mobile app is Google Tez, which allows users to enjoy real cash rewards for sharing the app. And while most of the apps would focus on giving away loyalty points under loyalty programs, Google, through Tez, gave people the real cash benefits, credited directly into their accounts. 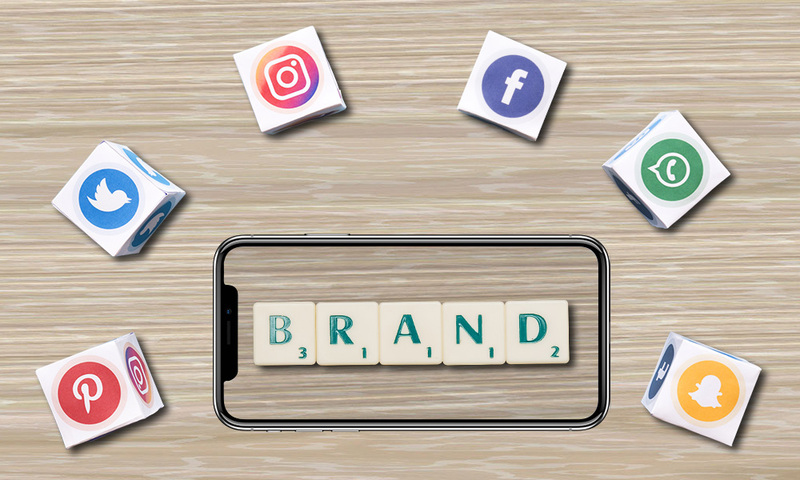 Some of the biggest social media platforms like Facebook, Twitter, Instagram, can be utilized to post regular content and keeping your existing fans updated on what you are up to and attract some new followers. What makes social media platforms, a good resort, is that if you are successful at wooing even a small group of audience, you can go viral in no time as these platforms work like a chain reaction. Even if you are a billion dollar enterprise that spans over a large area, and you cannot simply start selling in a region where people are accustomed to local brands. In this case, localization becomes a necessity. When you localize not only you change the semantics and format of your marketing strategy, you also incorporate various local factors and leverage them in a way that people can relate or connect with. For example – if you are trying to sell something in America, you could be linking your product more with baseball or using popular baseball athletes to feature on your marketing channels. Or while trying to sell something in India, you could be featuring some of the biggest movie celebrities, an infographic that depicts the cultural diversity of India, or cricket athletes. Localization is not something that is limited to translation of services, rather it is more about making people connect to and understand your product/service in the way they are most familiar with. Don’t we just love things that are for free? Freemium model has almost always worked, and the biggest example of that is Google Play Store and App Store. However, something that can be noted is that quality matters even in freemium model and only gets your app around 10-20% of users you would have when you go viral. Rest 80-90% is gained by word of mouth. According to App Annie, more than 95% of App Store and about 98% of Play Store revenue is generated through monetization strategy in the free apps. Something quite noticeable about monetization strategy in freemium models is that a good amount of revenue indicates involvement a corresponding size of audience. So these were some of the top ways that can help you build visibility in the digital market, and let you enjoy tangible benefits in your business. However, if we talk about revenue generation, it may only be an ephemeral thing if the quality of your product or service fails to meet customer expectations. So, we would say these techniques do work without fail, provided that the quality and uniqueness of your idea is up to the mark. Guest article written by: I am Manisha, Technical content writer at FuGenX Technologies. FuGenX is a CMMi Level 3 company and is a fastest growing mobile app development companies in Bangalore, Hyderabad, Delhi and Noida, India.